Benaderet was born April 4, 1906, in New York and made her professional debut in a children’s production of “The Beggar’s Opera” in San Francisco when she was 12. The manager of a San Francisco radio station was in the audience and offered her a featured spot on one of his programs as a vocalist. She graduated from St. Rose Academy High School in San Francisco and attended the Reginald Travis School of Acting in the same city, where she also appeared with stock companies and worked in radio as an actress, singer, writer, producer and announcer. 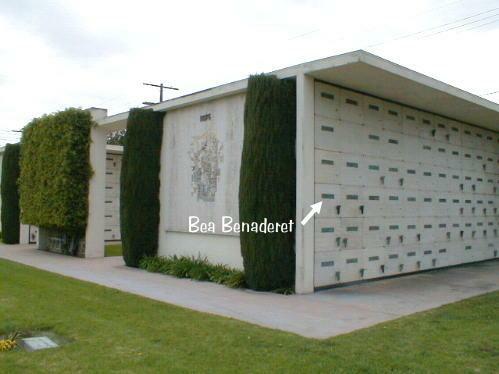 Benaderet began her career in network radio in 1936, when she became a regular member of Orson Welles’ performing company on “The Campbell Playhouse,” but her big break as a comedian came in 1939 on Jack Benny’s show. 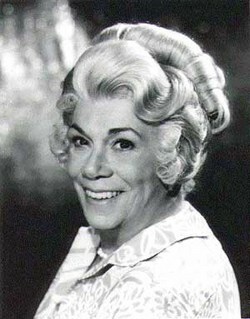 Benaderet broke into television with the role of Blanche Morton, the next-door neighbor on the Burns and Allen TV series, which she played until the series ended in its eighth year. Tested for the part of Granny in “The Beverly Hillbillies,” she lost the part to Irene Ryan, but producer Paul Henning created the role of Cousin Pearl Bodine to retain her in the cast. In fall 1963, she began her starring role as Kate Bradley, keeper of a country hotel at “Petticoat Junction,” and continued the part until the time of her death. She left “Petticoat Junction” for a time while she underwent treatment for lung cancer, but returned to the series in February 1968. She had filmed five episodes for the 1968-69 season when a recurrence of the illness forced her back to the hospital. She died at age 62 at Good Samaritan Hospital in Los Angeles, where she was undergoing further treatment for lung cancer, on Oct. 13, 1968.